By now, most of you already know what Pinterest is. But just for the sake of those who don’t I will give you a brief rundown on this incredible social media tool and how you can use it to build your business on the internet and increase your profits. Pinterest is basically an online pin board that can be used for many purposes. As a real pinboard it’s a great means of planning, organization or presenting things to everyone in the online community and even the world. Pinterest is also a social media site with more than 70 million users today and growing. It’s a great tool to to use to learn and share knowledge on a variety of interests. 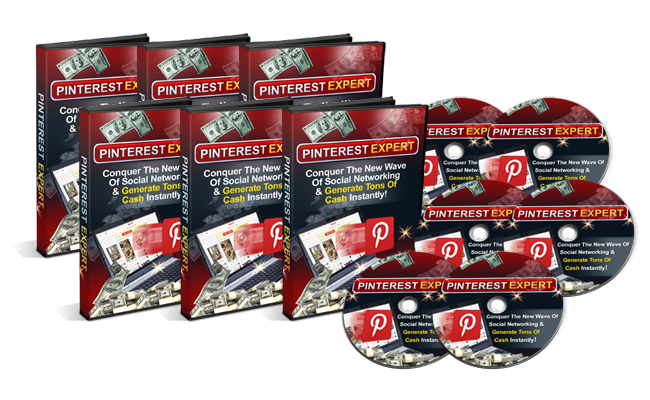 For the internet marketer Pinterest has been increasingly beneficial for individuals and businesses alike. Because you can make pins public you can use images and pictures to showcase your products or business opportunity. Pinterest is very user friendly and anyone can learn how to be an expert using it in a fairly short amount of time. However; ask anyone and they will tell you that promoting your business online can be a challenging task and you often need a large audience to present to. Pinterest offers the ability to build that audience. With Pinterest you have access to a huge audience and a dense demographic with most users being women between the ages of 21 and 35. But that’s not the only good thing for businesses! If you open a channel for your business you receive analytics tools completely free. Plus, the ability to increase your online popularity by running contests – another great way to build your customer and lead list while generating tons of traffic for your website. As stated before, Pinterest has a huge audience and is the perfect place to brand and market your business, either by creating a brand channel or simply putting your product directly into a pin with your URL linked. Pinterest can be an extremely lucrative marketing and branding tool for your business with free analytic tools, the ability to embed URL’s right into a post, and many other amazing advantages. One great advantage a business can have marketing on Pinterest is the ability to drive massive traffic to your website. In fact, did you know that your Pinterest site can be programmed to give a direct link to the source of your content? Are you a marketer looking for low cost ways to brand your business, connect with your customers or organization and build your business? Stop spending a lot of money every month buying products through different sources and get it all here at a discounted cost.